General Mobile just sent us photos and specs of its second Android device, the COSMOS. It follows the DSTL1 Imaginary that the company released earlier this year and has a much better set of features. For starters, it runs the Android 2.0 operating system, much like the Motorola Droid on Verizon Wireless. It has a 3.2-inch 320 x 480 HVGA capacitive touchscreen with an accelerometer, a 5 megapixel autofocus camera (sans flash), 256MB flash memory and 128MB SDRAM. 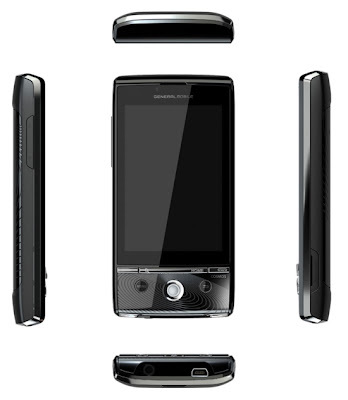 Other features include a 1500mAh battery, FM radio, a digital compass, and a Marvell PXA935 processor under the hood. The COSMOS looks much more attractive than the DSTL1 Imaginary; it has a more streamlined industrial design and a few attractive touches such as the etching on the battery cover. Why the hell these phone can't come to Jamaica?